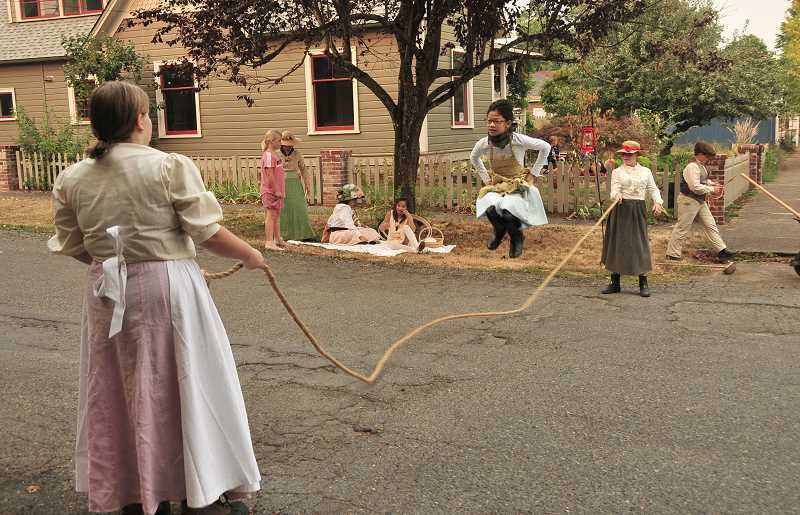 The Willamette Living History Tour is known for taking attendees on a trip through time, rewinding the tape of local history before hitting "Play" on a live action reenactment. This year, however, the production crew and cast from the West Linn Historical Society might experience a bit of whiplash as their calendar jumps forward by nearly a decade. After five consecutive years of depicting West Linn in 1913 — the year it was incorporated — the 2018 Living History Tour will focus on the year 1922, according to Historical Society Vice President Danny Schreiber. "The thought behind that year is it was the same year the bridge opened between Oregon City and West Linn," Schreiber said. "It was also shortly after West Linn High School opened, which was called Union High then. And in the '20s we're in the midst of Prohibition, which is always a fun topic to talk about, although the (Willamette) area of West Linn had actually been dry for a number of years before that." Nicole Schreiber, Danny's wife, has taken the lead in writing the script for the last three Living History Tours (1908, 1913 and now 1922). This time around, she found the researching process much easier with the help of technology. "When I wrote the first one 11 years ago, I was living (at the Clackamas County Historical Society museum) all the time, looking at newspapers of 1908," she said. "I did the same thing for 1913. I had to go to the museum (then), but this year it's all online so I could do it from my house." She added that the Historical Society also has yearbooks from the high school, which helped with creating characters and learning more about what was going on at the time. "In the '20s there was a health craze going on all over the country," Nicole Schreiber said. "There were a number of classes and exercises trying to get the women of society up and moving," Danny Schreiber said. "Their exercises are very different from our modern gyms and what we think is exercise." 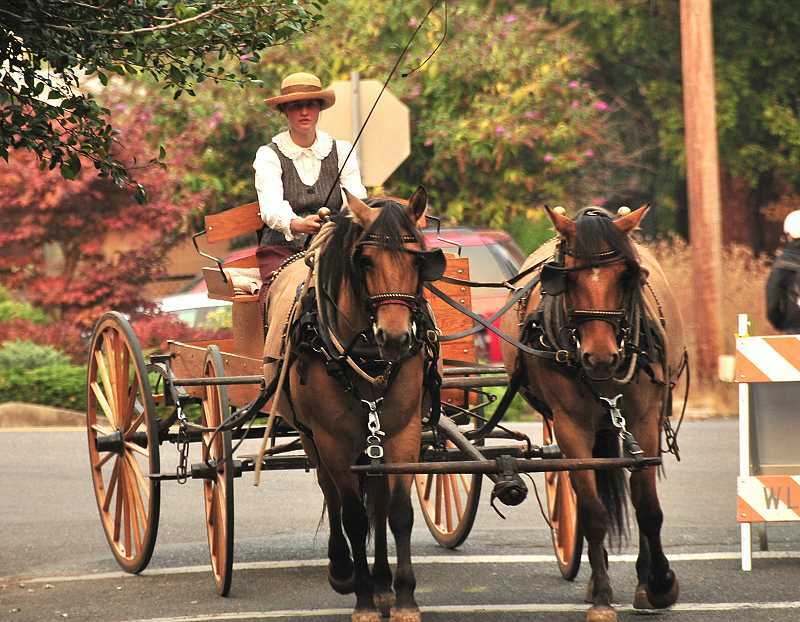 This year's tour will also depict a significant change in transportation. "By the '20s, automobiles are taking over," Danny Schreiber said. "The days of the horse and buggy are numbered. We found lots of research about arguments between horse drivers and auto drivers in the newspaper ... they didn't like (the cars) flying down the road at 20 miles per hour, kicking up dust and causing them problems." 1922 also marked the beginning of the controversial "flapper" era. Flappers were known as young women who wore short skirts, had bobbed hair, listened to jazz and generally detested the status quo. "1922 is interesting because there's definitely talk about the flappers in a lot of the research we're doing, but they haven't taken over yet," Danny Schreiber said. "It's kind of like millennials versus Gen Xers." Nicole Schreiber said the script is finished, but still being fine-tuned. The cast has also been selected and costuming is underway. "A lot of people in the cast were very excited about the '20s and thought it would be neat," she said. "We thought it would be a good year to represent us — before the (stock market) crash but after World War I."